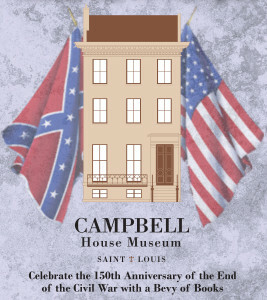 Join the staff of the Camp­bell House Muse­um for a walk­ing tour of the site of the once-grand Lucas Place neigh­bor­hood, one of St. Louis’ first pri­vate places and an enclave of Gild­ed Age wealth and 19th cen­tu­ry ele­gance. Span­ning four city blocks in Down­town St. Louis, tour par­tic­i­pants will walk a street once lined with expan­sive homes, com­par­ing and con­trast­ing the Lucas Place of 1875 with the Locust Street busi­ness dis­trict of the 21st cen­tu­ry. For more infor­ma­tion and the full press release, please click here. This entry was posted on June 8, 2015 by Andy Hahn. All CHM mem­bers (present and future!) are cor­dial­ly invit­ed to the Camp­bell House Muse­um for wine, hors d’oeuvres and a spe­cial 20% dis­count on the Muse­um Store’s new line of Spring mer­chan­dise. This year, in hon­or of the clos­ing cel­e­bra­tions of the 150th anniver­sary of the end of the Civ­il War, four local authors will join mem­bers to dis­cuss Civ­il War St. Louis his­tory and sign copies of their nation­ally renowned books. Click here for more infor­ma­tion. This entry was posted on April 29, 2015 by Andy Hahn. 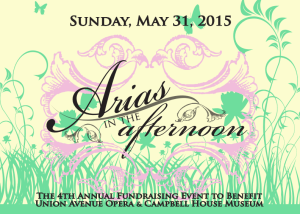 Camp­bell House Muse­um and Union Avenue Opera, two of St. Louis’ best kept secrets, are excit­ed to present the 4th annu­al “Arias in the After­noon,” a con­cert, lunch and fundrais­ing event to sup­port their mis­sions of com­mu­ni­ty engage­ment and edu­ca­tion, fea­tur­ing per­for­mances by Union Avenue Opera artists in the Vic­to­ri­an gar­den of the Camp­bell House Muse­um. For more infor­ma­tion and the full press release, please click here. This entry was posted on April 24, 2015 by Andy Hahn. 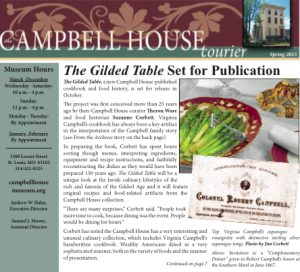 The lat­est issue of our sea­son­al newslet­ter is now avail­able online, fea­tur­ing our upcom­ing pub­li­ca­tion of Vir­ginia Campbell’s cook­book, excit­ing dis­cov­er­ies, mys­te­ri­ous bene­fac­tors out­stand­ing reviews and new pro­gram­ming! Click here to view/download. This entry was posted on March 19, 2015 by Andy Hahn. Join us at 3:00 p.m. on Sun­day, March 15 for the sec­ond install­ment of the CHM Lec­ture Series. 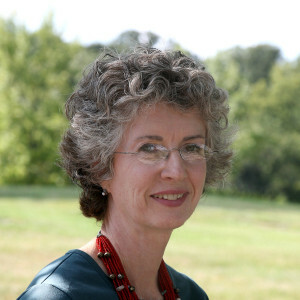 Dr. Ruth Bohan, Pro­fes­sor of Art His­to­ry at the Uni­ver­si­ty of Mis­souri-St. Louis, will exam­ine the range and use of domes­tic tex­tiles, prin­ci­pal­ly in the Camp­bell House Par­lor, to bet­ter under­stand and appre­ci­ate their con­tri­bu­tion to the com­plex chain of asso­ci­a­tions respon­si­ble for ele­vat­ing the mun­dane and util­i­tar­i­an into the realm of the sym­bol­ic. 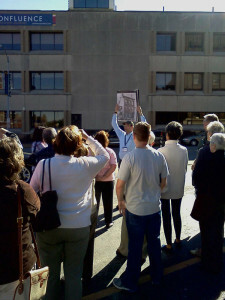 Held in the CHM Library, admis­sion to this spe­cial event is free but space is lim­it­ed. Con­tact the Muse­um today for your reser­va­tion. This entry was posted on February 17, 2015 by Andy Hahn.